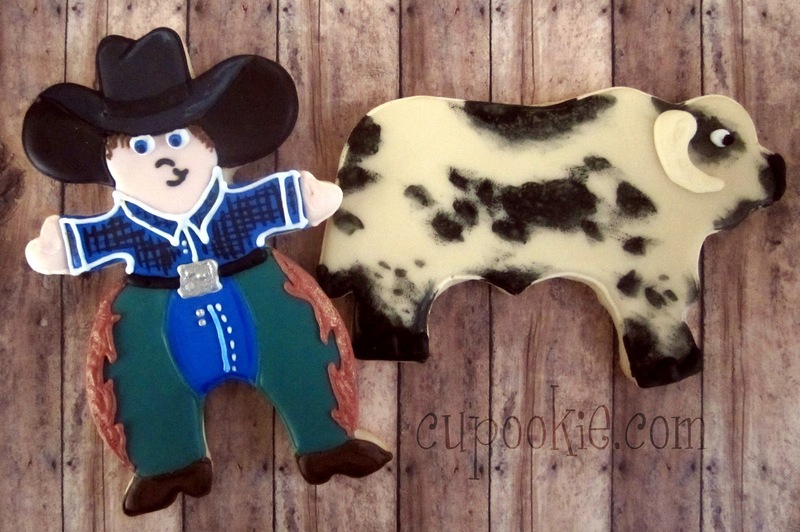 a friend of mine asked me to make some cowboy & bull cookies to resemble her boyfriend. she sent me a pic of his chaps and his bull. well cowboy Andy has his cool chaps, black hat and blue eyes. his bull is an ivory color with black spots. i must say this wasn't the typical cookie i decorate so it was sort of a challenge. but challenged conquered! Ride em cowboy yeehaw!! These are so FUN!!! I am sure your friend and her boyfriend would have been over the moon with them.